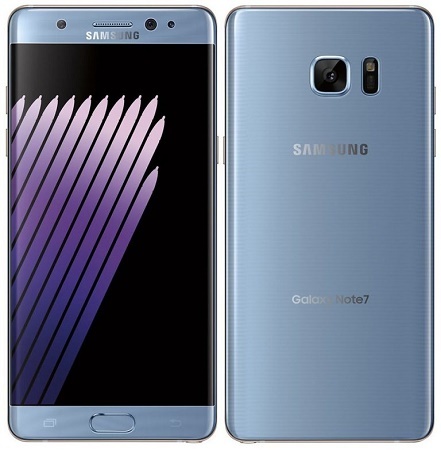 The recall of the Galaxy Note 7 definitely cost Samsung a lot. Samsung brought back 3 million devices back to its factories. With such high numbers, there were environmental concerns. Especially, when this was a flagship phone of 2016. At that time, Samsung underlined plans to recuperate losses by disassembling and recycling off the parts of the device. But soon after, the Korean smartphone maker decided to resell the smartphones with a smaller battery. Since then the device has passed Bluetooth 5.0 certification and has been seen in the wild. We knew Samsung was close to bringing the device back from the dead. But we didn’t have dates or timeframes. Now, Yonhap news, a news publication from South Korea says that Samsung will sell the ill-fated device under the Galaxy Note FE(Fandom Edition) moniker. It will retail at 700,000 ($616 or roughly Rs. 40,000) starting from July 7 according to the publication. We still don’t know in which countries Samsung plans to sell the reborn phablet but that will be known soon if these reports are true. Interestingly, this year we will be having two flagship phablets selling side by side unlike any other year. And since we have a Korean price we do expect it to launch in Korea first.